Intel released the Ultrabook alongside a commitment to thinner, lighter laptops. Though ostensibly forward-looking, this promise was a bit silly; laptops have always trended towards thinner, lighter designs. Intel cleverly positioned itself to take credit for the inevitable. 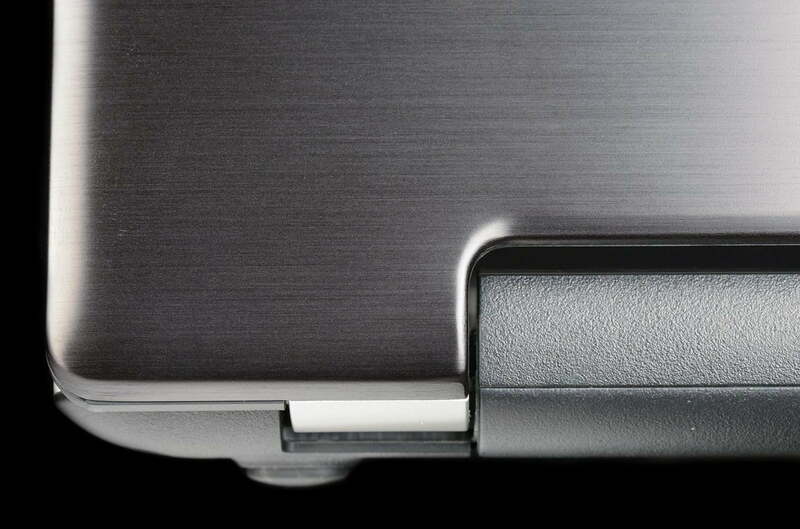 Thin laptops aren’t just evolution; they’re Ultrabooks – Inspired By Intel™. The Asus VivoBook S550CA is a prime example of this new yet familiar breed. By most accounts, it’s no different from the mainstream laptops of 2011: 15.6-inch display, 1366 x 768 resolution, dual-core processor, and so on. But the laptop also boasts a touchscreen and has dieted down to a thickness of just 2 centimeters. With an MSRP of $720, let’s see if a moderate price and these improvements add more than bullet points to the S550CA’s list of features. Asus has been a leader in notebook design since the release of the original Zenbook. The larger, heavier VivoBook S550CA can’t offer the same sleek frame, but it does borrow some of it sibling’s most attractive traits. 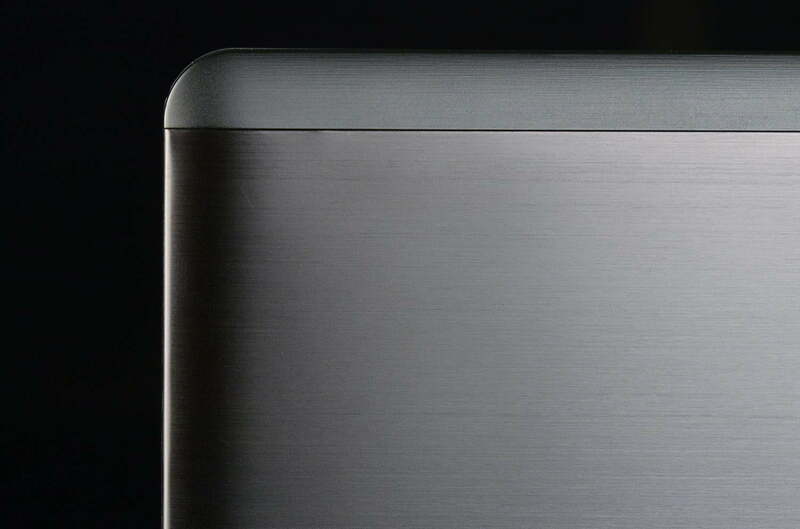 Almost every inch of the display lid and interior is covered in brushed aluminum, which also trickles down the flanks to add some extra class. Plastic can only be found on the bottom and along the display’s edge-to-edge glass. The use of metal isn’t enough to firm up the laptop’s slim frame, however. Lifting the system from a single side or corner causes the chassis to warp noticeably under its own weight. 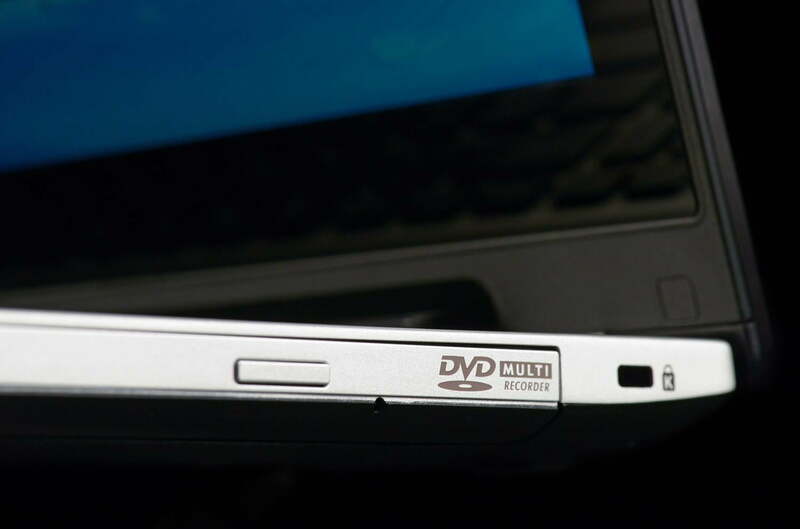 The inclusion of an optical drive may be to blame as its hollow interior is almost impossible to reinforce without the use of expensive materials. Flex aside, the system’s quality is impressive for an inexpensive Ultrabook. All surface materials feel thick, the display seems sturdy, and the system never creaks or moans during use. The basics are covered, which is all consumers can expect in a system sold at this price. Connectivity comes from two USB 2.0 ports, one USB 3.0 port, HDMI, VGA, and a card reader. This is an acceptable selection, but the inclusion of just one USB 3.0 port is lackluster. 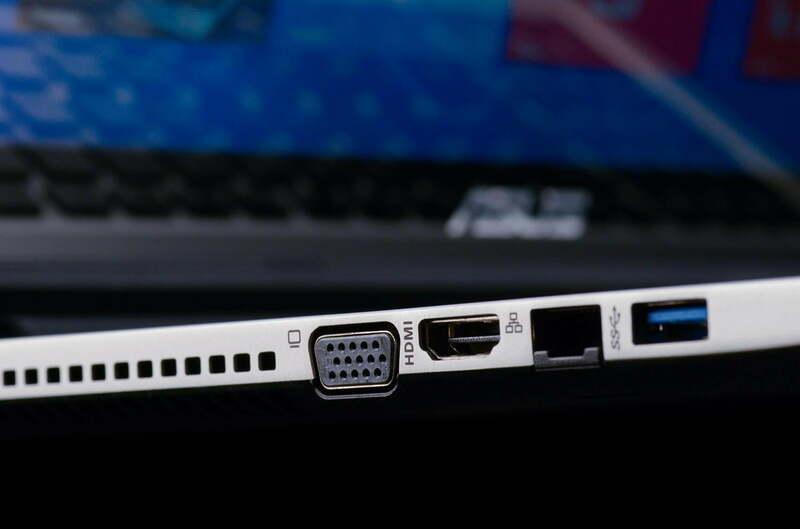 We prefer to see at least two USB 3.0 ports on a 15.6-inch laptop for a total of four USB ports overall. Though thin relative to its display size, the S550CA is thick enough to offer some key feel. Depressing a key results in decent travel and good tactile response. The size and layout of the keyboard is also up to par, which makes for a pleasant typing experience. Our only complaint lies with the numpad. 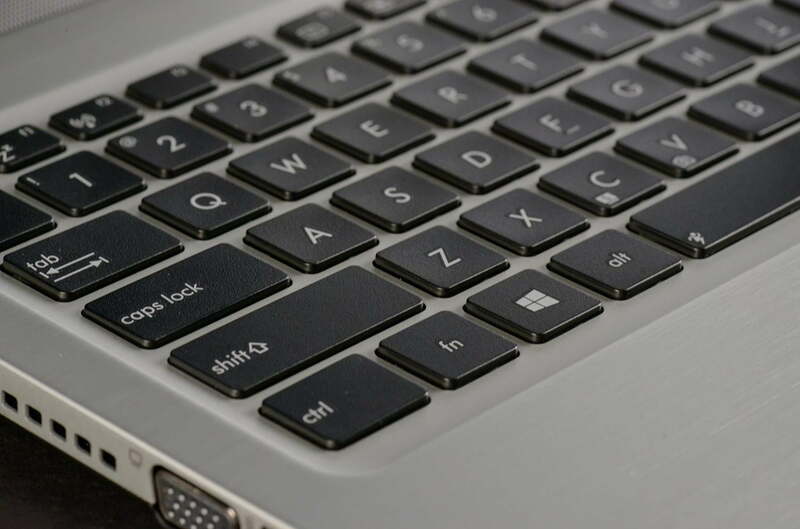 Though this laptop is wide, Asus could squeeze the numpad in only with under-sized keys. Using it for more than occasional input can result in a cramp. The touchpad doesn’t entirely live up to the standards set by the keyboard. We thought the surface lacked definition and found click sensitivity to be low. 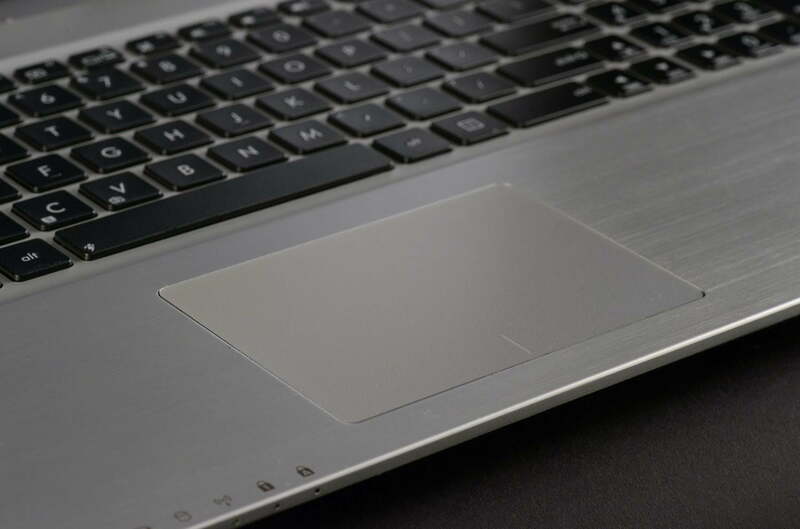 However, we had no issues with multi-touch gestures, and the touchpad’s surface offers plenty of room. Our first impression of the VivoBook S550CA’s display was: “Wow! This thing has edge-to-edge glass!” That’s right: edge-to-edge glass on a $720 laptop. Though this may seem an unusual feature, it makes the touchscreen more enjoyable. Glass lowers surface friction and feels more expensive than transparent plastic. Though pleasing to the touch, the display was unfriendly to our eyes. Testing showed the panel capable of displaying just 54 percent of the sRGB gamut – the lowest score we’ve recorded since we implemented our current test procedure late last year. Black levels and overall contrast also came in below average. All of this, combined with a lackluster native resolution of 1366 x 768, makes for a disappointing viewing experience. Other inexpensive laptops aren’t much better, but that doesn’t mean Asus deserves a pass. There is one, and only one, positive point about the display: viewing angles. They’re not great. But they’re better than average among laptops sold below $1,000. The speakers also didn’t impress us. Audiophiles won’t find relief from the sound system. Even at maximum volume, the S550CA’s speakers lack punch and deliver a muddy mid-range. This is frustrating in movies because dialogue is often lost in the soundtrack during a climactic sequence. Most buyers will want a pair of headphones or external speakers. Though thin, the S550CA isn’t exactly an ultraportable laptop. Small backpacks and messenger bags are unlikely to accommodate the laptop’s wide body. Even if you can find room, lugging the system around may prove uncomfortable because it weighs in at nearly six pounds. And don’t assume the heft goes towards a large battery. Our Battery Eater test sucked down a full charge in one hour and 48 minutes. Switching to the light-load Reader’s Test only extended life to four hours and 22 minutes. The Peacekeeper browser test turned in a result of three hours and 45 minutes. How these numbers stack up depends on how the S550CA is classified. Compared to Ultrabooks, they’re well below average; most competitors offer at least an hour of additional Web-browsing time. Among 15.6-inch desktop replacements, however, these results are average. Power tests revealed the laptop to be a bit of a hog. At idle, with the display at 100 percent, it consumed 22 watts of power. This figure increased to 33 watts at full load. Both numbers are high compared to laptops with similar hardware. Our review unit arrived with an Intel Core i5-3317U processor, 6GB of RAM, and a 500GB mechanical hard drive paired to a 24GB solid-state cache drive. This configuration represents a basic model, but there aren’t many options. Most versions of the VivoBook S550CA will be differentiated only by the size of their hard drive or a minor processor upgrade. Think of the…S550CA as a Hyundai with all the options. It doesn’t perform like a Mercedes, but it looks the part. SiSoft Sandra’s Processor Arithmetic test and the 7-Zip benchmark reached respective scores of 36 GOPS and 7,263 MIPS. These results are typical of a Core i5 Ultrabook. Less impressive, however, was the system’s PCMark 7 score of 2,623, which is among the lowest scores we’ve recorded this year. Slow transfer speeds from the hard drive are the culprit, though we didn’t find this a noticeable issue during normal use. Intel HD provides graphics grunt, and gaming performance suffers as a result. 3DMark returned a score of 3,830 in the Cloud Gate bench and 550 in the Fire Strike bench. These numbers are well below a PC with even mid-range discrete graphics (the Razer Edge Pro scored 1,002 in Fire Strike, for example). Reducing a laptop’s profile can sometimes increase fan noise since there’s less space for cooling to work efficiently. But that’s not the case here. Instead, Asus has somehow managed to craft an Ultrabook that’s nearly silent during normal operation. The laptop emitted no more than 41.6 decibels of sound at full processor load, making this the quietest Ultrabook we’ve tested. Somehow, the laptop also retains its cool. Our infrared thermometer found no spot hotter than 86.3 degrees Fahrenheit at idle, and that number increased to just 94.9 degrees at full load. These are not the best results we’ve recorded – but they’re close. A small selection of pre-installed apps shipped on our review unit. This includes the Asus power widget, which is useful yet also annoying because it appears on the Windows taskbar and when using Alt-Tab to switch windows. We don’t remember this being the case on other Asus systems we’ve reviewed. The widget is joined by a new interface overlay that can be activated with a special “<>” key located on the numpad. Though it works, we’re not sure why the interface exists, as it only offers access to a few settings and the Asus Cloud app. 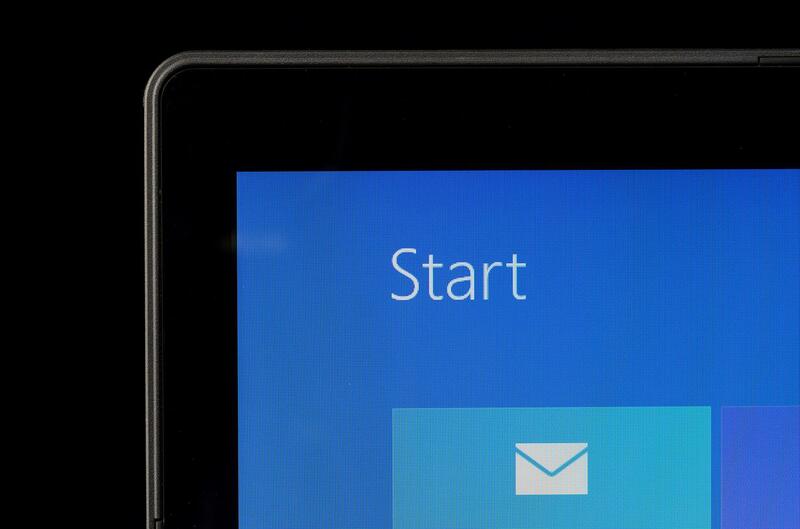 Other apps include a selection of games, and Asus Tutor, a help app that shows users how to navigate Windows 8. We’re happy to report no third-party antivirus comes installed on the system. In fact, we didn’t once encounter a pop-up dialogue box while using the S550CA, which is a refreshing change from most laptops. Build quality and material choice also impress. Though not on par with more expensive Asus products, such as the N56 and Zenbook, this laptop compares well to others sold around the same price. Toshiba, Dell, and HP offer laptops that look nearly as good, but most have inferior keyboards. Lenovo serves up a better keyboard, but its large laptops are a bit dull. Benchmarks are the one area where this laptop can’t keep up with its peers. Results in our performance tests were average to below average, even for a $720 laptop. As a 15.6-inch system, the S550CA will likely be shopped against slightly thicker laptops that have faster Core i5 and Core i7 processors. The difference won’t be obvious in typical use, but the VivoBook is at a disadvantage when called on for demanding work. Though we thought this $700 Asus was a top contender in its class, we’d ultimately have to recommend the Lenovo ThinkPad Edge or the stripped-down version of the Sony T14 (we reviewed the souped-up version, but the basic configuration is a better value). However, out of the thousands of other cheap laptops on the market, we can safely say you’ll be in good hands with the Asus VivoBook S550CA. What Asus has crafted, perhaps inadvertently, is a desktop replacement for people who care more about touch and build quality than raw power. Think of the S550CA as a Hyundai with all the options. It doesn’t perform like a Mercedes, but it looks the part.